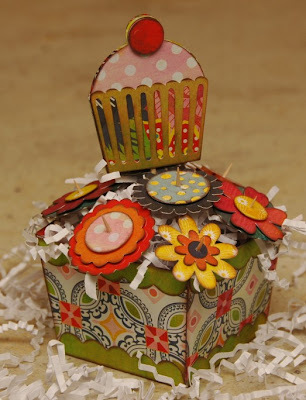 Monique Griffith Designs: Sweet Treats Party Class & Blog Candy Cartridge!!! Wow! Those are incredible projects. I hope a cupcake comes with the cupcake holder. The one in the picture looks yummy. okay, it is one thing for each of us to use a same cartridge to make the cuts however, it takes talent to make the right paper choices, the shadowing, embellishments!!! that is why your classes must be full! Cute, cute, cute! Can't wait to take this class. Oh yeah, the drawing is on my birthday. maybe that'll help me out! Sweet Treats Party is way too cute. Love it! OMG such amazing goodies! I love the papers and the colors are just so rich and yummy! Thanks for the candy giveaway. So "Sweet" of you! wow fabulously yummy projects love them all. and what a fun prize thanks for the chance. Another AWESOME project. I wish I lived closer so I could take some of your classes...Would love Sweet Treats...have 8 kids that I make cards for all the time...No, only 1 is my DGS the other 7 belong to friends of mine and they love to get mail. Keep up the GREAT work!!! I saw this on Cricut Chat but had to come here to see more detai. I am just in love with all of this!I really, really like the centerpiece! You did an awesome job! too cute, just like all your other projects. love it! These are adorable. All your projects are adorable. LOVE THIS PROJECT!! This is SUPER cute!! Wish I could come to the class but live too far for a Thursday class!! Oh, and I am a Facebook friend!! Oh man, that might be the just the cartridge to make me take my Cricut(s) seriously! LOL! Loved seeing how cute all your creations were last night! AWESOME! You always create beautiful things and it just blows my mind! I thank you for all your work and the chance to win the cartridge! Keepin' my fingers & toes crossed! be nice to make all of what I see! Your projects are amazing. My baby's 1st birthday is coming up in July and I can't wait to start crafting for it. These ideas are great for birthdays!! I love your creativity... just love it! Another stunning project Monique....just love it all!!! What a variety of exciting projects, showing such creativity. Saw these on the Crucut messageboard. So glad i came to your site so I could see more of the detail. They are great. I just became a follower. Thanks for shareing. Awesome projects!! I just love the papers you used and how fun, bright, and happy it all looks. Thanks for sharing!! Omg Monique! Just when I think you are done amazing me, you make something even better! You are so talented! Amazing! I absolute love what you have made with this cartridge. Thanks again for this awesome giveaway! Wow! Wow! Wow! Not only are the projects fantastic, but the paper choice is absolutely spot on! These look fantastic Monique! 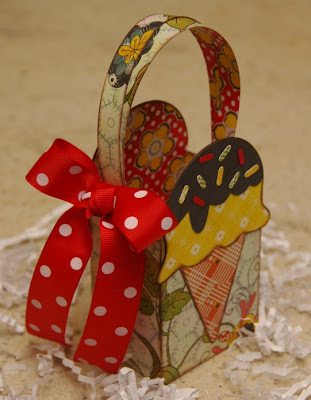 I was lucky enough to win this cartridge yesterday @ Craft Junkie Too's Blog Birthday Bash! If I am lucky enough to win from your blog it will be going to my niece who just graduated with her teaching degree and got her very first Cricut! Thanks for the chance Monique! You and your blog are such an amazing inspiration! Absolutely wonderful! Thanks for the opportunity to win! WOW....I love your projects! Love the colors you used for the Sweet Treats items! Would love to win that cart! Thank you so much for a chance to win this cartridge! Beautiful projects as usual. I love your style. Thanks for the chance to win a cartridge. Your projects are amazing! I wish I had half your talent at selecting papers. Thanks for the chance to win a cart. Absolutely beautiful! Thanks for the chance at this Cart, too! Wow! So cute!!! They look amazing! What a gorgeous project for a girls party. I love this idea but don't own sweet treats so would love to win it. Thanks for the chance to join in. Beautiful kit! You always pick such amazing papers and put them together very well!! Great job! Yummmmmm! I love all your projects!! 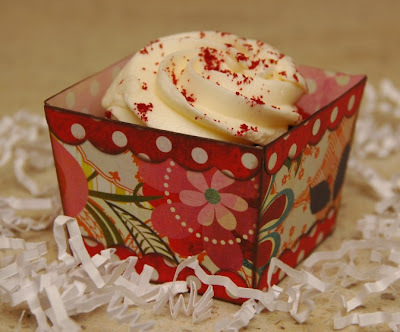 (You have me really wanting a cupcake now hee hee) I would love to win the Sweet Treats cartridge!! Thanks!! Fantastic projects! I wish I lived close to you so I could take the class with you! What a wondeful giveaway!!! I wish I lived in CA!! I wouldlove to come to a class and learn from you. Your ideas are great and I love them all. Love this project. The colors are amazing. Your projects are incredible! I am so glad I discovered your blog! I am new to Cricut and Sweet Treats is one of the cartridges I've been wanting. 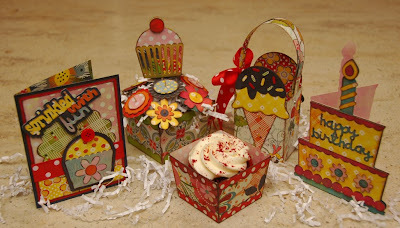 What a beautiful birthday cupcake set-I love the papers! Very creative. Wow - these look great. You choice of papers and colors is awesome. Thanks for the opportunity to win this cartridge, it is adorable. Awesome project!!! I would love to have the Sweet Treats cart.!!!!! Thanks for the chance to win one. I wish I lived close enough enough to come join your classes. I know they would be a blast. These are awesome projects, I really love this cart. Thanks for the chance to win. WOW!!!!!!!!!!!!! I love all of your projects. Thanks for a chance to win this cart. I love this set... Great paper!!! I love you blog also!!! I LOVE all the inspiration you've been sharing. The projects are wonderful. Thanks for the chance to win. Wow!!! Absolutely beautiful and yummy. Thanks for a chance to win. 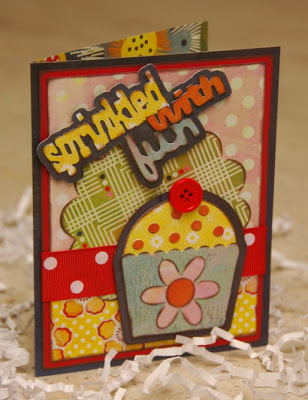 Hi Monique - Thanks so much for always sharing such creative designs. I love all of them - thanks for the opportunity to win the Sweet Treats cartridge as I do not have that one yet, being somewhat of a "newbie" to the Cricut world. Looking forward to everything else you have up your sleeve! Also looking forward to receiving my "Christmas Morning" and "Easter" Kits alogn with your promised California warmth and sunshine!!! We could use it here in NJ right about now after all this snow!! I just love this, you always do such nice stuff. The SweetTreats projects, are SWEET!!! Looking forward to more adorable projects!! See ya in a few weeks in Tahoe. Great projects. I am now a follower. Thanks for the chance to win. Oh my gosh...your talent is amazing. 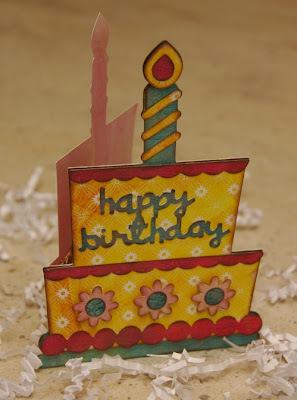 I just love your birthday sweet treats crafts. I love this cart but having to cut back a little so it would be great to win one. Thanks so much for doing this. How bright and colourful. Thanks for the chance to win candy that can create such wonderful projects. AMAZING!! Your projects are super adorable!! Great job Monique! What wonderful projects. I would love to have that cart. Thanks for the chance to win. Wow great work! I so want this cartridge so I can create cupcake holders for my sister! Thanks for the chance to win! LOVE everything you have made! Thanks for the chance to win this cart! Love it! Birthday party done right! Keep them coming! Thanks Monique! I love your projects as always. I don't have this cart yet...thanks for the chance! wow these are awesoem..I would love to win the sweet treats cart!! Wow! these are fabulous! I wish I could come to your house for the class. Thanks for the chance to win! I'm so glad I found your blog! You have amazing projects! Than you for the chance to win! I always Love the things you make! As always AWESOME job!!! I love your blog and like others wished I lived closer to take a class. Thank ou for the chance to win this cart!!! Oh Monique! You always make all your projects look yummy!! LOL...I would love to include this cart in my stash! Please enter me!!! I love your products, you get the most out of a cartridge for sure!! Very cute ideas! I especially love the little basket! I wanna win SOOO bad!! Please oh please pick me!!! Wow!! Your projects are amazing. My daughter's birthday is this Thursday. Think you can expresspost the cart to me??? hee hee Thanks for the great ideas and the chance for a sweet cart. Oh - I can't wait for the class - thanks so much!!! I don't have this cartridge and would love to win it. I have seen so many wonderful projects done with it. Someone has to win, right? So maybe it will be me this time. A girl can hope, right? This is such a cute cartridge! Thanks for the giveaway. I love this new class/kit....you are AMAZING!!! I'll be sending you an e-mail next gotta have this in my collection. I really like the last card with the candle.... great job. You always do such nice work! Looks great! Unexpectedly bold paper really makes it pop. I would love to have this cartridge! What great party stuff....love the BG paper you chose! Thanks for all of your terrific ideas. Your designs are so amazing!!! The detail and eye that you have for design is amazing!! Thanks so much for sharing and the chance to win! I cannot wait for this class. Mollie's birthday is at the end of April and I will be making this for her party!! Great projects! 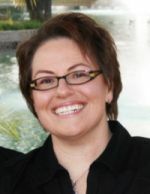 I live in Fairfield and will continue to follow your blog to see when I can come and join some of your classes! Thanks for the opportunity to get that wonderful cartridge!! I can't believe I wasn't a follower before, but I am now. Thanks for the chance to win! Your projects are always so cute! Love them and your blog! That ice cream cone with sprinkles is just too cute! Thanks for the chance to win! This is an amazing project! I absolute love what you have made with this cartridge. I have to do this for a party. Thanks again for this awesome giveaway! Nice projects. I can really see potential for parties in this one! Thanks for the chance to win. What a wonderful array of party items! The colors are so festive and eyecatching! This is a must have cartridge! Thanks for the chance to win! Awesome! Love this, I will be doing the cupcake theme for my niece. Her birthday is next month she ill be 20. LOL! I feel so inspired by your pictures. Just LOVE all of it. So cute and so much fun ! Thanks for the chance to win. AWESOME! I just love this cartridge more and more. It is on my wishlist. Thank you so much for the chance to win. Cute Cute Cute! Love your projects. I was wondering do you ever do weekend classes? I live in Central California, and it's too far away to go during the middle of the week. Wow, you are just so clever...wish I had half of your talent and creativity! I so appreciate your sharing everything with those of us not so creative...and the chance to win a cartridge, of course! I love those- so cute! I only wish I were closer for the classes! 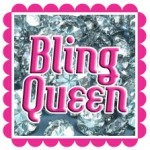 Hello, I just found your blog, and am loving what I am seeing. That sweet treats party class is so cute. I wish I could attend your class. Can't wait to check back and see what else you have in store. i have eyes this cartridge for awhile and now i must have it. i love all your projects that you do. very very cool. You did a great job on all the projects. Beautiful! You are amazing. I have been a follower for awhile, but I am realatively new to the cricut mb. I have really been wanting this cart....so crossing my fingers!! Thank you! Such adorable projects, your work is very inspirational. how amazing are these projects...super super sweet !! !